Hıdırlık Tower (tr. 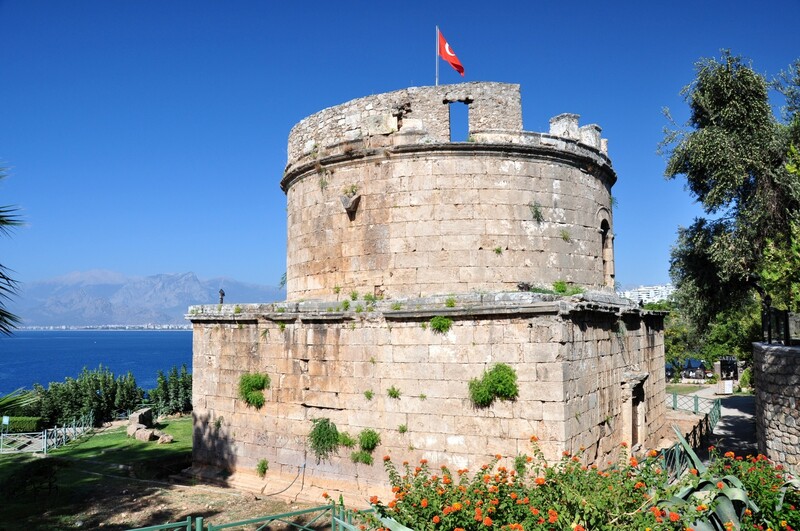 Hıdırlık Kulesi) is one of these historical buildings, such as the Hadrian's Gate, the Fluted Minaret and the Clock Tower, which have become the symbols inextricably associated with Antalya. 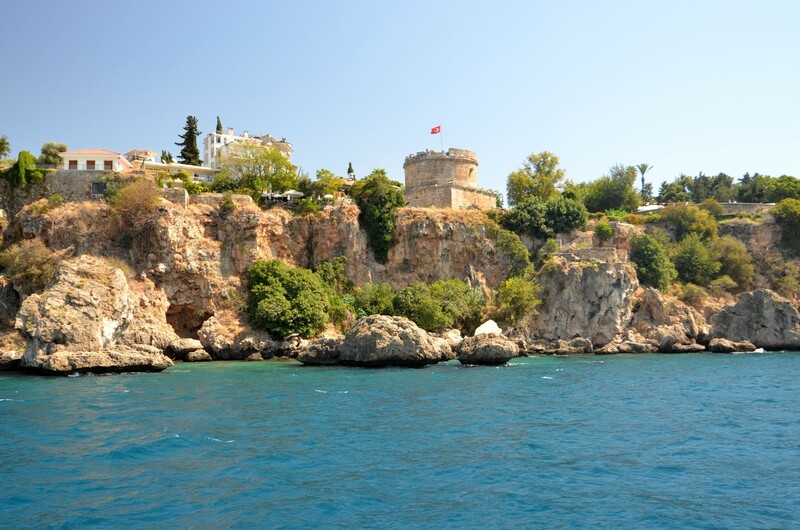 However, it is not really the tower itself that attracts many visitors, but the beautiful views of Antalya bay which looks especially stunning from this vantage point. 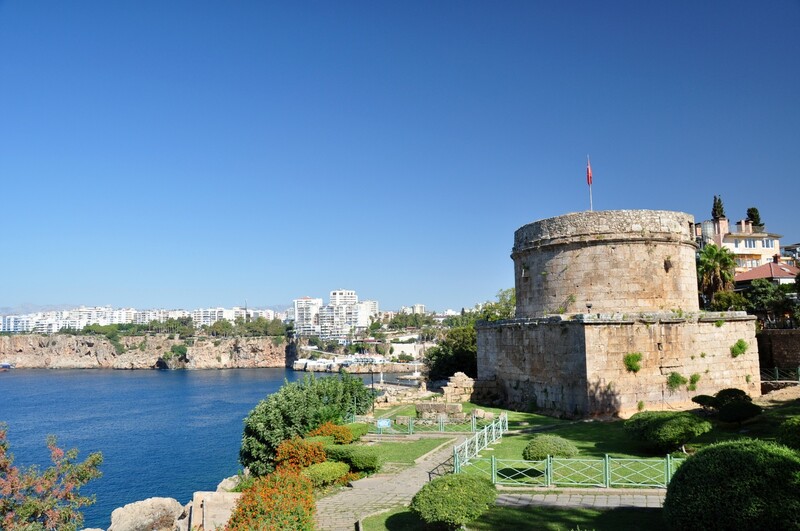 The tower is one of the oldest surviving monuments in the city. It is built of yellow-brown, stone blocks. 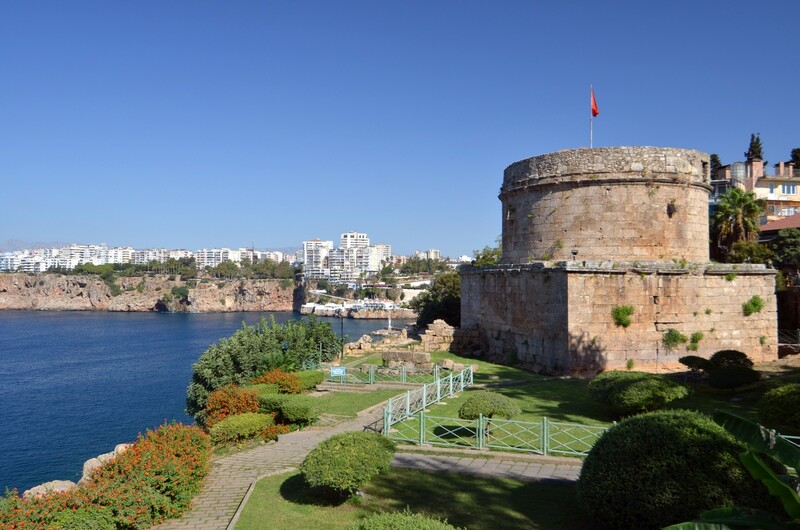 Its lower story was erected on the square plan at the turn of the 2nd century AD as a part of the city fortifications. Soon, in the 2nd century, the second story was added, this time on the circular plan. The upper part of the building underwent extensive renovations during the Seljuk and Ottoman periods. The function of this structure still remains a mystery. 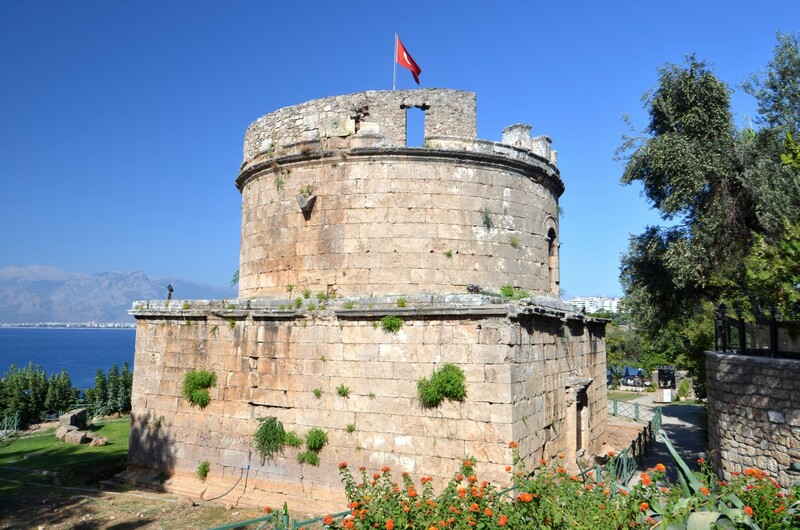 The popular belief is that the tower was actually the tomb of an important person. This hypothesis is confirmed by the fragments of frescoes preserved inside the building. Moreover, on both sides of the entrance gate there are stylized carvings of axes that could indicate the importance of the person buried in it. 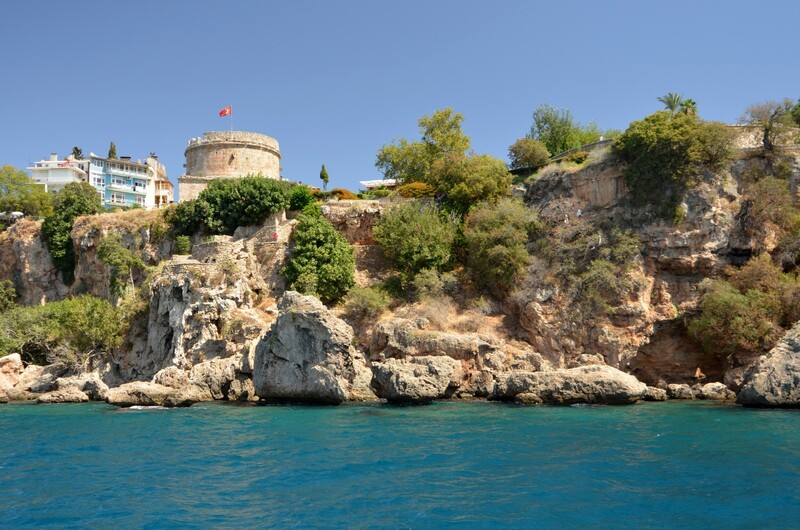 On the other hand, the specific location of the tower - on top of a cliff near the port - can indicate another function of this structure.There is a belief that it used to be a lighthouse and a looked-out point from which the ships approaching Antalya were observed. Perhaps, for some time, the building was also used as a church. The tower is 14 meters high. The entrance is located on the eastern side of the structure. It leads to a small room, from where a narrow staircase goes up to the top level. 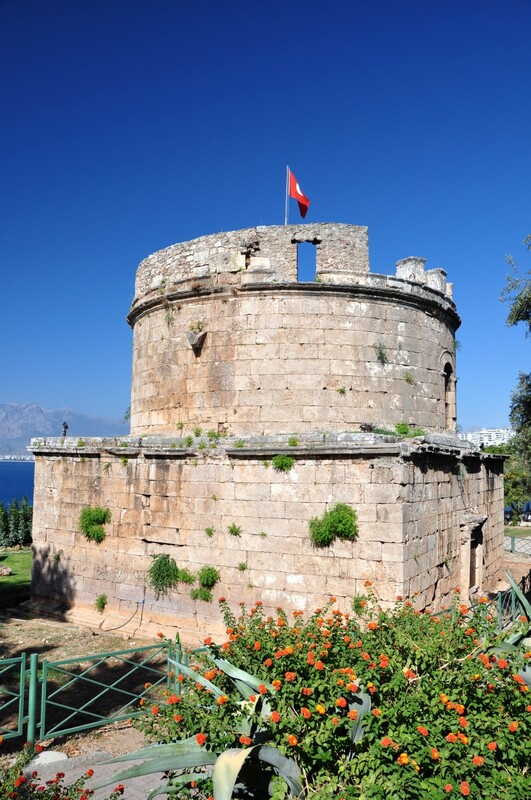 Currently, the main role of the tower is purely decorative. 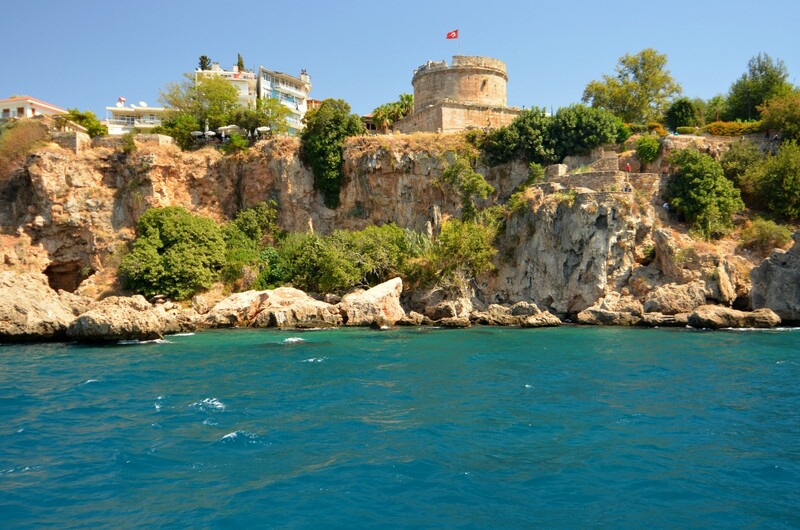 It is a popular place to come to just before the sunset, both for the tourists and the inhabitants of Antalya. 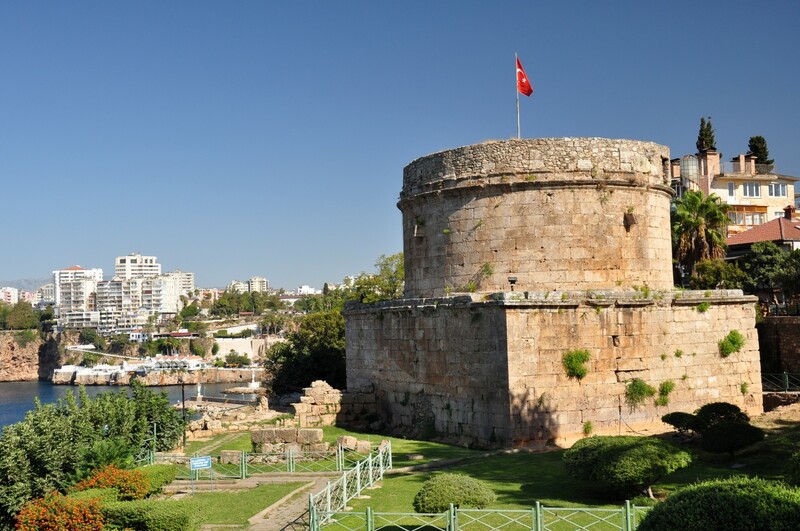 Hıdırlık Tower is located at the point where the historic Kaleiçi district borders a large Karaalioğlu park. 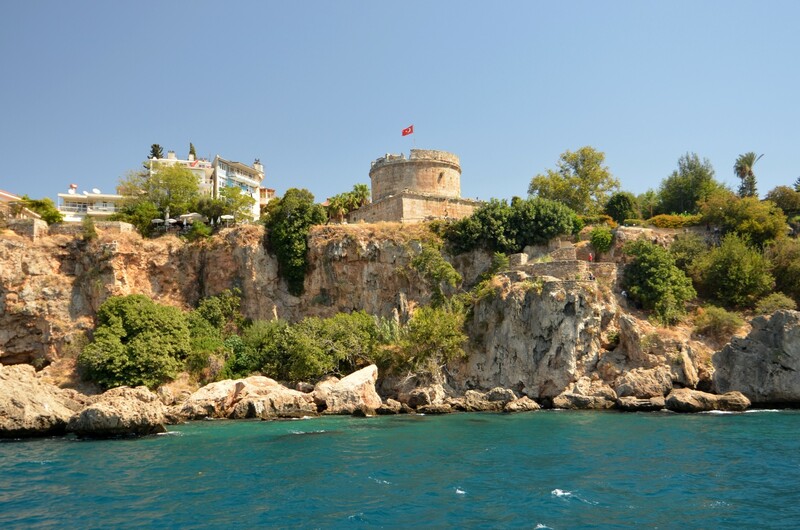 It stands above the cliffs that rise south of the harbor which has been used since the Roman times. 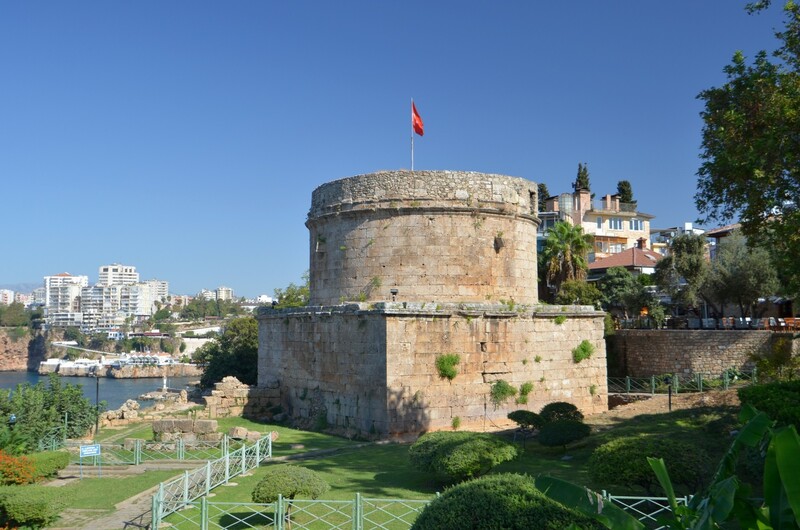 The tower's precise location is at the end of Hesapçı Sokak - a street that traverses the Kaleiçi district and begins at the Hadrian's Gate. 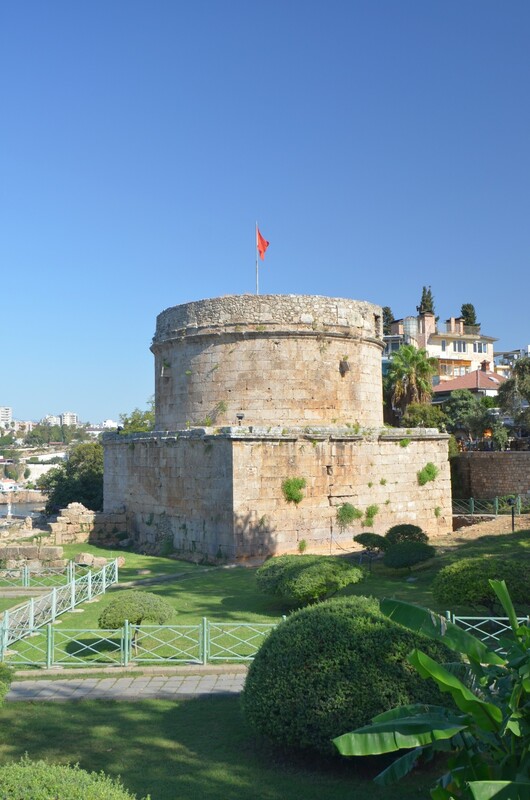 The distance between this Roman-period gate and Hıdırlık Tower is only 600 meters .